What Are The Benefits of Having a Dehumidifier in Your Commercial Building? Moisture in the air is a natural common occurrence all over the world, which is the amount of water vapour present within in the air, and can be an unpleasant experience to those not acclimatised to it, or those who who suffer from allergies or asthma. So, have you ever wonder why the inside of a building can feel as if there is excessive moisture in the air, or why the allergy and/or asthma sufferers in your office constantly struggle, or why there’s a musty smell through the building or in particular rooms? One of the issues is that there may have been a leak or flooding incident with the building in the past which may or may not have been treated correctly, which has lead an increase in moisture, and even mould. There may be an increase of condensation on windows or window frames in certain cases which may also lead to more moisture in the air within the building. Then, have you ever wondered what the role of a dehumidifier is – can it be used for flood damage or flood restoration in homes and commercial buildings? The answer to that is, yes! An excessive amount of moisture in the building can potentially be the start of many difficult issues you may face if it’s not looked after. A high level of moisture will make the air feel “sticky” and uncomfortable during the warmer months, while keeping the commercial office space cold during the colder months, making it difficult to heat up, and thus a dehumidifier is the perfect option to combat the moisture through both Seasons. The excessive moisture in the air within your office will increase the condensation on glass surfaces – windows and glass door panes, and walls, potentially leading to moisture-damaged window frames and other structural issues over time, especially wooden structures. As mentioned, your commercial or industrial space may be experiencing an excessive amount of moisture in the air, which is being combatted with the heating or air conditioning when trying to warm up the space, thus not dealing with the issue correctly. Moisture and warmth in the office space will potentially cause mould and mildew, producing a musty smell to permeate throughout the building, which can potentially be more harmful than you may expect. The musty smell is one of the most common first signs of your home or office being damp and potentially being exposed to mould and mildew if it’s not treated correctly. Long periods of being exposed to excessive moisture in the air may lead to more severe health-related issues for those who don’t even suffer from allergies or asthma. Moisture around the commercial or industrial space and/or home will produce mould and mildew, which is fungi which thrives in moist, damp environments, and is not only unsightly(when exposed) but can trigger severe health-related issues for those who suffer from asthma and other allergies. As Mildew is from a similar fungus family, it can also be found in damp areas of the building. However, as unsightly as it is, it is said that it isn’t as invasive or troublesome as mould but can cause irritations among non-asthma and non-allergy sufferers too. Prolonged exposure to high levels of these toxic moulds can result in neurological issues, and in some cases, even death, which is why cleaner and less moisture in the air within the building space is imperative. Dust Mites are microscopic bugs which thrive in places affected with excessive amounts of moisture in the air, and warm environments, and even though they’re not visible to the eye can cause health-related issues with asthma and allergy sufferers. They feed off the dead skin cells of humans and animals which is shed every day, making a humid office space, and household, a perfect place for these mites to survive. Eliminating Dust Mites will be a costly exercise once they’ve found a home in your building, as your home or office will need to be thoroughly cleaned frequently, costing you time and money. This may not be common knowledge, but the structural integrity of your home or office building can be severely compromised by prolonged exposure to the moisture in the air. Condensation and mould is known to have health-related effects, but has the strength to cause damage within the wooden structures of your office or home, including door frames, wooden beams, doors and even the plasterboard walls. With the above facts stated, you may be thinking about the effects a dehumidifier will have on your wallet, and the environment? Modern dehumidifiers are quality-tested for energy efficiency and have good energy ratings, allowing you the peace-of-mind to leave the dehumidifier unit running through the day and/or night, while conserving energy and saving on energy bills. Maintenance on the dehumidifier is quick-and-easy, as the units have automatic off and sleep modes, and drains continuously while switched on. 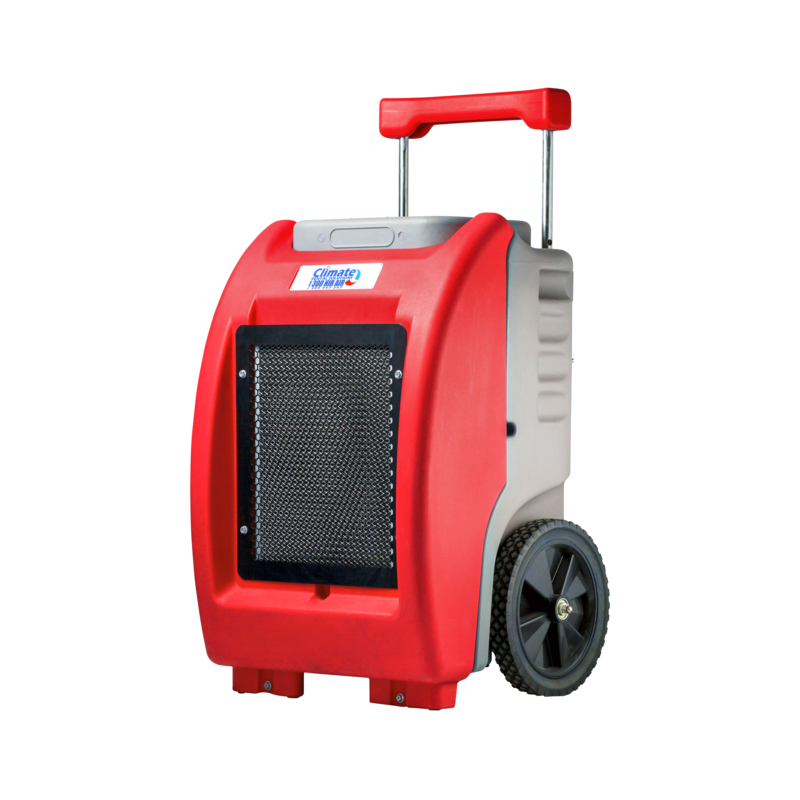 Now that we’ve briefly discussed the benefits of a dehumidifier in your commercial office space or home, Climate Rental Solutions have a wide range of Dehumidifiers, Air Conditioning, and Evaporative Coolers to suit any size room or building. Our experienced staff are on hand to take your call and enquiries on 1300 447 247 or contact us online, and we’ll respond as soon as possible.